Our friends at The Landmark Trust have generously donated several holidays over the past few years to our members and their families. At a time when breaks for families are becoming harder to access, we are super excited and grateful that The Landmark Trust supports us to make sure that we can offer as much of a break as possible to families who might otherwise not get one. We love to hear the stories and see the photos when our members tell us about the amazing time they've had. 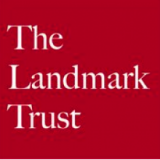 Thankyou so much to The Landmark Trust.